What is health education about? What is physical education about? 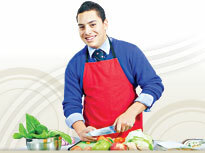 What is home economics about? What is the health and physical education learning area about? The health and physical education learning area is about taking action to enhance well-being. It encompasses three different but related subjects – health education, physical education, and home economics – with a shared conceptual framework and achievement objectives. Students learn that well-being is a combination of the physical, mental and emotional, and social and spiritual aspects of people’s lives. They learn to think critically and to make meaning of the world around them by exploring health-related and movement contexts. They learn how to bring about sustainable health-enhancing change for individuals, communities, and society. Use the links below to access the sections of this guide. To navigate through the guide's web pages, use the section and sub-section menu in the left-hand navigation and/or right-hand section menus.